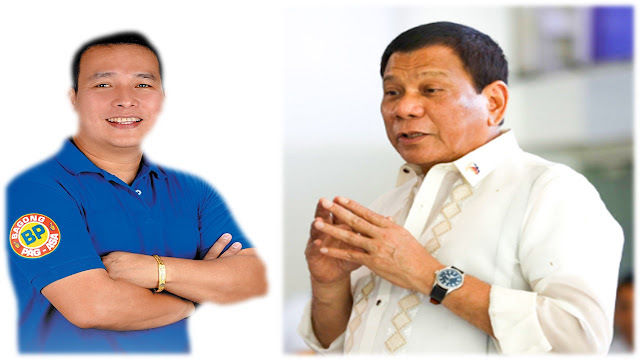 A Nueva Ecija official, believes that President Rodrigo Duterte was “heaven sent” to fix the country’s problems. “Not because President Duterte is my ally but I salute him for all the things he has done,” first-termer Gapan Mayor Emerson Pascual said. Pascual joined the anti-crime group Volunteers Against Crime and Corruption (VACC) after his brothers – Erickson and Ebertson – were killed, along with three others, when some 20 heavily armed men stormed their family-owned Gapan Coliseum and Cockpit Arena and opened fire during a derby on March 20, 2006. Pascual, who ran under the PDP-Laban in 2016 elections, said he could not imagine how the country could manage if Duterte lost in the 2016 polls. “There are some who are criticizing him. But, let us just imagine in case he did not become the President. Other past presidents did not do what President Duterte is doing now in the war against drugs,” he said. “President Duterte was heaven sent to the Filipinos,” Pascual said, saying that such relentless campaign against illegal drugs has made this city a safer place to live and work in. In adherence to the Chief Executive’s policy against illegal drugs, Pascual said they have established a “Bahay Pagbabago” where hundreds of former drug dependents have been reformed. Bahay Pagbabago reformist in this city leave the facility with certificates in various skills that can be used in working overseas, he added.